On Wednesday, April 17, 2019, we celebrate Malbec World Day. It is a day to celebrate Malbecs from Argentina. Malbec World Day comes from the Spanish words “ Mundial de Malbec,” which means “Malbec throughout the world.” However, the best way to honor this day is with a glass of your favorite Malbec whether it be from Argentina or anywhere else. History tells us that Malbec World Day honors a day back in 1853 when the President of Argentina Domingo Faustino Sarmiento choose to reinvigorate Argentina’s wine industry by hiring Michel Aimé Pouget, an agronomist to bring French grapes, vines, and seeds to Argentina. He brought Malbec, which adapted nicely to both the dry, sunny climate along with the clay and limestone soils of Argentina. Malbec prospered so well it became Argentina’s signature grape and varietal and currently is considered synonymous with Argentina. Today Argentina is the largest producer of Malbec in the entire world. The Malbec grape is known for its dark inky color and a range of flavors from flowers and berries to clove, vanilla, and mocha. The grape produces wine that can be rich, velvety, soft and delicate depending on the region the grape grows. 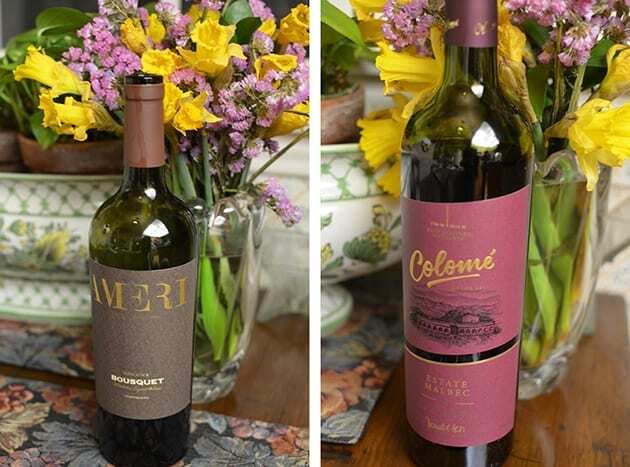 In Argentina Malbec wines typically comes from three areas in the Mendoza region, Lujan de Cuyo, Maipu Valley, and Uco Valley or from Salta, which is located North of Mendoza at a higher in elevation. To honor Malbec World Day and Argentina, my wine suggestions this year represent only Malbecs from Argentina. It took a vacation in Argentina to convenience winemaker Jean Bousquet to establish roots in Argentina. He ended up in the Tupungato district of the Uco Valley, known as one of the up and coming regions of Mendoza. Today, Jean’s daughter Anne Bousquet and her husband Labid Al Ameri put their signatures on the wines. While sustainability is the focus of their winery, they farm grapes organically with the overall theme of reducing the winery’s carbon footprint as well as economic sustainability from the surrounding community. Domaine Bousquet 2015 Ameri pays tribute to Labid. It represents his journey from Kuwaiti Refugee to a trader at Fidelity, to ultimately becoming immersed in the wine business. Ameri is his wine and the flagship wine of Domaine Bousquet. 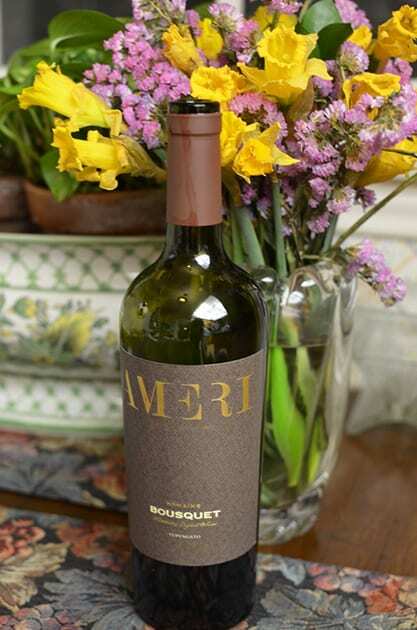 Ameri consists of primarily Malbec blending with Cabernet Sauvignon, Syrah, and Merlot. The result is a rich and velvety wine with lots of depth. On the nose, I found smoky aromas of earth and berries while on the palate flavors of blackberry chocolate and pepper with a finish of sweet mocha. I would call this Argentina’s and Domain Bousquet’s Bordeaux blend. The grapes come from the best clusters of a single vineyard located at the highest level on the estate, 4,125 feet. The wine ages for 16 months in French oak. 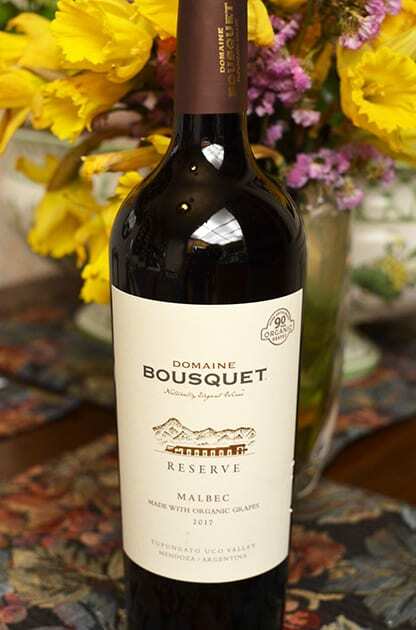 Domaine Bousquet 2017 Reserve Malbec blends Malbec with tiny portions of Cabernet Sauvignon, Merlot, and Syrah. This wine ages ten months in French oak. The wine is soft on the palate yet also has a rich and velvety quality. 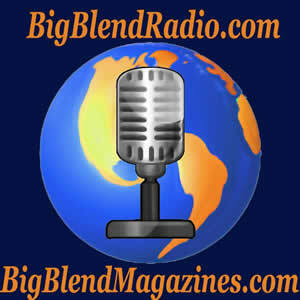 Find a very balanced wine with earthy aromas and flavors of blackberry. Bodega Colomé is one of the oldest wineries in Argentina, established in 1831. Located in the Calchaqui Valley in the Salta Region, the vineyards claim to be at one of the highest elevations in the world with rootstock imported from Bordeaux. Today the grapes are farmed sustainably. Colomé is a welcome part of the Hess Family Wine Estates. Colomé 2017 Auténtico Malbec pays tribute to the pioneers who planted the vineyards in 1831. In addition, using sustainable practices give this wine an authentic expression of the terroir. The grapes for this wine come from vineyards that are over 100 years old. The wine ages ten months in tank and another ten months in the bottle, thus giving the wine a fresh outlook. I found earthy aromas of dark fruit, blackberry, and mocha. The texture is smooth, silky, velvety with rich, ripe fruity flavors of blackberry. Colomé 2016 Estate Malbec blends Malbec from four estate vineyards. The wine ages 15 months in French oak barrels and six months in the bottle. Again this wine offers a velvety, rich, smooth texture that highlights the flavors of blueberry, red fruits with a little pepper on the finish. Aromas of dark fruit and fig are enhanced with earthy mocha accents. I would describe this wine as very alive and feature ripe fruits. Amalaya means “Hope for a Miracle” in native Indian language and describes this new world winery eloquently. It juxtaposes the Hess Family’s Bodega Colomé because unlike the 100 plus-year-old vines of that winery, Amalaya took a leap of faith and planted new vines in an area that had never been planted before. Located in the Cafayate Desert of Salta, Argentina the area features a dry climate with rocky and sandy soil. 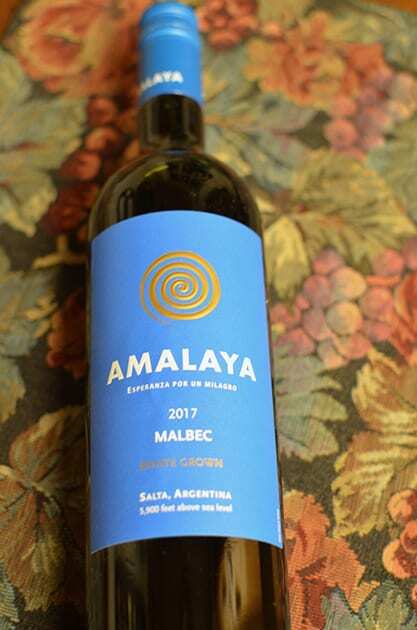 Amalaya 2017 Malbec combines Malbec primarily with Tannat and Petit Verdot. 25% of the wine ages in French Oak barrels. The well blended and balanced wine offers a bright acidity. The wine exhibits ripe fruit especially blackberry with hints of mocha and pepper. Finally, enjoy your Malbec World Day with any of these Malbecs from Argentina.